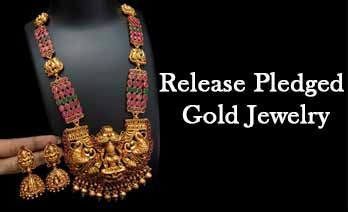 How to release pledged gold jewelry? Are you tired of gold loans?? Are you really tensed of regular paying of Interest?? Then you have reached the right location. We understand the time when you are already wondering from a different source of income, but when taking loans, you have to aware of the company. Most of the banks aren’t supportive of giving loans, they may or may not pledge your valuable jewelry but they will look for their profit at the end of the deal. Loans aren’t very responsive to your needs. Although they would give you a hard amount during the time you seek. In that case, you may not even look at the varieties of the formalities. Most of the time, the bank would not ask your personal relations with your finances, they would offer you the some for your help. In turn, you would not even notice, how much you might be paying for your interests. Once you are already with the procedure, you would not notice the drawbacks of such formalities you did not bother to read in the beginning. Almost all the banks offer only 60% to 70% of the price of the actual value. With a growing market like the current ones, you would not when you are in the profit and bank will never inform you and eventually sell them, if you be unable to pay the debts in the long run. Also, if the value decreases, the bank will no way loot your valuables and will never inform you in the beginning. The main question in your minds might be - why are we interested in the topic? We are actually interested because we are the leading second-hand jewelry buyers in Delhi NCR. We buy all type of gold in any denominations possible. Our work is to recycle them and process further into the mass. Therefore, we will get you the benefit of earning, moreover, we will offer you 100% of the value along with some extra to compensate for all your needs. To know more about our extensive services, visit us at our outlet and have a one-on-one conversation with our jewelry experts to release you pledge gold jewelry.